Jenco is proud to announce that we are now a dealer for PowerPulse 24. We can now provide our customers with remote monitoring of your generator, sent directly to you, through the internet. 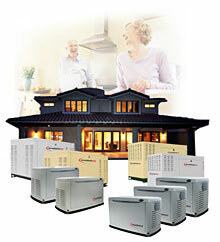 Now when a storm hits, you have direct access to your generator whether you are home or away. Click here for more information. With all of the natural disasters surrounding us, it is now more important than ever to protect your family whether at home or on the go. Here at Jenco, our goal is to help you be prepared. We've got a wide variety of generators here to meet your needs. Let us know how we can help you be prepared. Sales, Service, Install, Maintenance, WE DO IT ALL!!! © Copyright 2017 Jenco Electric. All Rights Reserved.